Believe it or not, being a singer-songwriter, rapper, record producer and film producer is just part of what this star does. When he’s not off doing what he was evidently born to do, he has a whole other life that we are not privy to. Being that he is a public figure, we get to catch a glimpse of his personal life on occasion and today is one of those days. So, let’s meet Pharrell Williams wife, parents and his kids. Her name is Helen Lasichanh and though she is the wife of a public figure, she is quite the mystery. From her absence from social media to her general absence from the public eye, she leaves us wanting to know more about her. Well here is what we could glean about the beauty. She is not only a model, but also a designer and she has the fashion credibility to prove it. She regularly makes Huffington Post best-dressed lists as well as additional recognition from other news outlets. Now down to the juicy stuff. Long before she became Pharrell Williams wife, she had no eyes for him at all. She had a boyfriend at the time, but Pharrell, who seems to be a patient man, decided to live comfortably in the friend zone for two and a half years, till her relationship eventually ended. After that, you would think she’d fall right into his open arms, but that is not how it went down. She played hard to get for quite some time. That did not wear the Happy singer down though, he kept at it and eventually he broke down her defenses. You know the rhyme, ‘first comes love, then comes marriage, then comes a baby in a carriage’? Well in Pharrell’s case it went, first comes love, then comes a very, very, very, almost excruciatingly long period of dating and then the rest of the shenanigans. After announcing their engagement in July 2013, the couple went on to tie the knot later that year in October and in the spirit of living up to being the fashion icons that they are, they wore plaid to their wedding. There was no black tuxedo and white ball gown involved, it was all plain plaid from head to toe. It’s been four years since that day and the couple is still counting. Pharrell was born into the house of Carolyn and Pharaoh Williams. Pharaoh was a handy man while his wife was a teacher. There’s not much out there on the couple, as they probably live a quiet life that does not need the loud contrast of being the parents of a public figure. Nevertheless, here are a few facts about them that we could get our hands on. Over the years, Pharrell’s mother has added a few titles to her name, not only is she Mrs Williams, but she is also Dr. Mrs. Williams. She remembers, not so clearly that she met her husband on Labor Day in 1969. Soon after the couple got hitched and went on to have three sons of which Pharrell is the oldest. They had Pharrell, 44, Cato, 34, and Psolomon, 24… there’s a pattern there. Anyway, after three kids Carolyn went on to get herself four more degrees, one from Tidewater Community College, two from Old Dominion University and one more from Regent University. These days she just kicks it back and hangs with her husband. 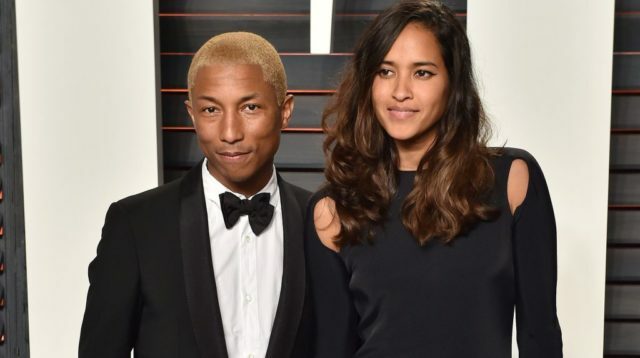 Pharrell and his wife are not the only members of his family, the star has a son, Rocket Ayer Williams. It is obvious that the he is not all about putting his whole family out there. We see a lot of Blu Ivy and North West, but not as much of Pharrell’s little man as we would like to see. Nevertheless, it is probably for the best. Onto some equally enticing news, Rocket is no longer the only child in the house, he is now a big brother to not one, but three younger siblings. Sources have revealed that Pharrell and his wife were blessed with triplets in January this year. Their names and sexes are yet to be divulged.